The Pennsylvania Supreme Court ruled Monday that the Philadelphia School Reform Commission broke state law when it canceled its contract with the city’s teacher’s union. 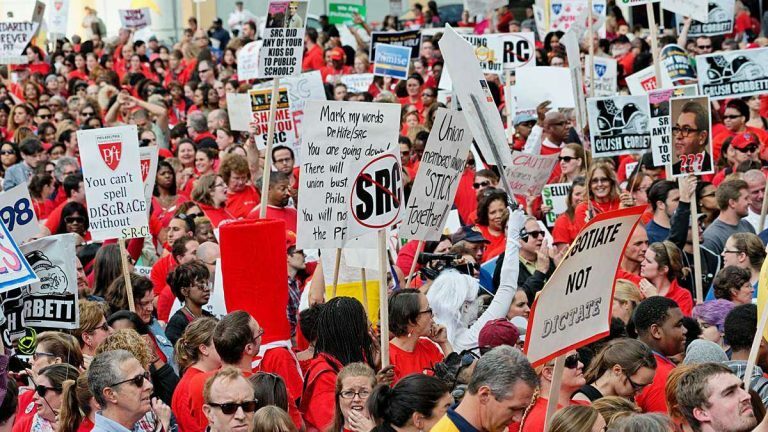 The unanimous decision upholds two lower court rulings and marks the end of a legal battle that began in October 2014 when the SRC made the stunning decision to scrap its existing contract with the Philadelphia Federation of Teachers and impose changes to union health benefits. Monday’s decision, penned by Chief Justice Thomas Saylor, is a decisive victory for the union — one that removes at least some of the uncertainty surrounding union negotiations with the district over a new contract. 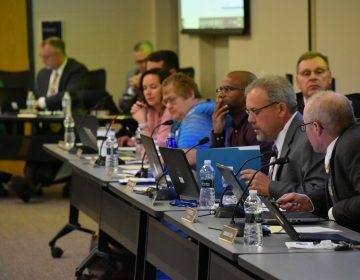 “My hope is that we will now finally get to the table with the school district who will be serious about negotiating a contract and moving forward,” said PFT president Jerry Jordan. 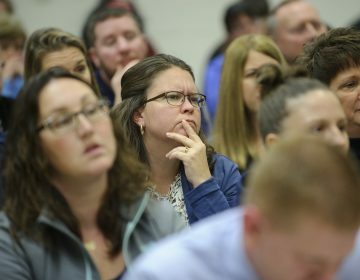 In the short term, Monday’s decision changes little for the district’s 8,500 teachers, who have been working under terms of an expired labor agreement since 2013. Teachers haven’t received raises during that time. Teacher salaries and benefits will continue to be governed by the “status quo” contract until the PFT and district can agree on new terms. The Supreme Court ruling has no direct financial consequences for the district because the contract cancellation attempt wasn’t successful and district teachers never experienced a corresponding reduction in benefits. The district highlighted that point in a statement Monday. As those negotiations unfold, the district now knows definitively it will not have a powerful trump card in its deck — the use of unilateral cancellation. Legal language crafted long before the statute that birthed the SRC is the reason. A 1959 state law gives distressed districts the power to cancel contracts “other than teachers contracts.” The SRC argued that the term “teachers contracts” applied only to individual teacher contracts, not to the collectively bargained union contract. The Supreme Court found otherwise, saying that the exception referred to the type of deals negotiated between the SRC and the PFT. 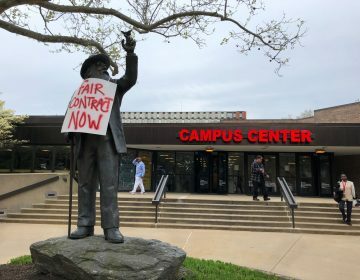 Back in 2014, the SRC argued it had the authority under state law to cancel the union contract, and it said the district’s acute financial woes necessitated drastic action. The district argued its changes would have saved Philadelphia schools $44 million and reduced layoffs. Specifically, the district wanted teachers to contribute toward their health care premiums, something most PFT members don’t do under the current contract. 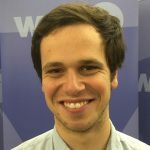 The climate of crisis that loomed over the SRC’s 2014 move has temporarily passed. The district even boasts a modest surplus at the moment. Still, district officials warn Philadelphia schools have a long-term structural deficit that will result in future fiscal pain. It remains to be seen whether the district and its largest bargaining unit can hash out a deal between now and then.